Orthodontic problems often begin during the early childhood years, and if left untreated, these problems can lead to dental issues later in life. Many parents feel that they don’t need to think about braces until their children are teenagers, but consultations with children as young as 7 years old can begin to discuss prospective treatment options. Braces and other orthodontic treatment options can be used to treat a variety of dental problems that are visible throughout childhood, including bite problems, crowding, and crooked teeth. Potential causes of these issues include cavities in the baby teeth, thumb sucking, premature baby tooth loss, chronic mouth breathing, and prolonged pacifier use, among others. 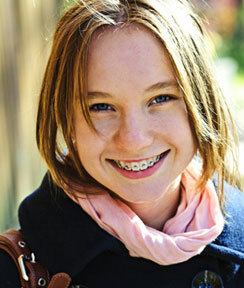 If it is determined that your child is in need of orthodontic treatment, a two-part approach will be used. The first phase will begin immediately when your child still has many of his baby teeth, and it will include correcting bad oral habits, enabling correct bite, intercepting and preventing problems from developing, and guiding the permanent teeth into a favorable position. During the second phase of orthodontic treatment, an appliance like traditional braces may be used in order to move the permanent teeth into a final, desired position. These systems will then work to continue improving the facial appearance and the function of teeth. By straightening the teeth, children can experience increased confidence and self-esteem. Treatment time for kids’ orthodontics will vary from one to three years, and factors that will influence treatment time include the method chosen, age, and the severity of the case. By receiving early orthodontic intervention, children can enjoy quicker treatment times.